On the 24th May, Evesham entered into the District paddlesports competition in Sutton Coldfield. The weather wasn't desirable however the cadets still enjoyed the day very much, there was a lot of cheering and support from the team mates whilst watching the races which helped them to keep paddling. There was a brilliant effort from all who were involved in races and this was evident in the results. 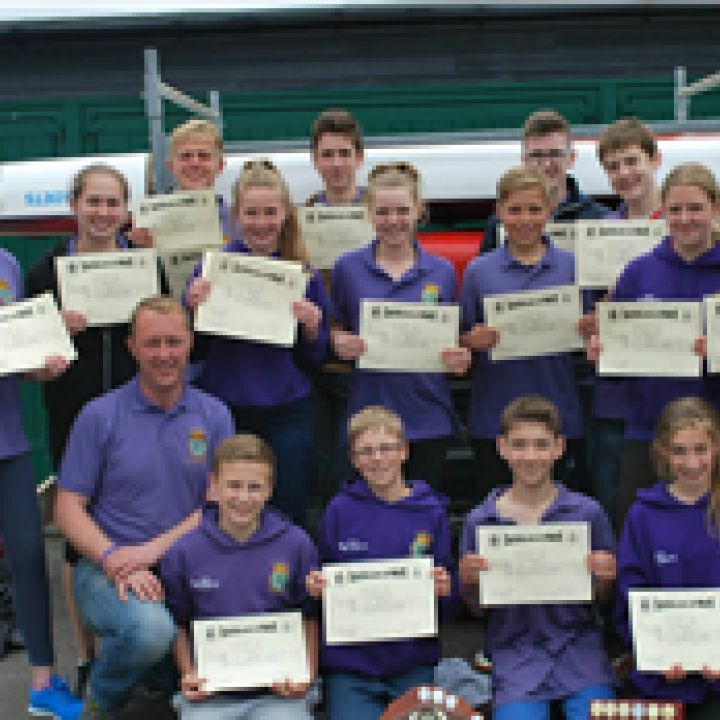 Evesham won the overall trophy, the overall girls trophy and the cross-stream trophy, this means that 11 members of the kayaking team will be going through to the Area Regatta held at Bristol in July. 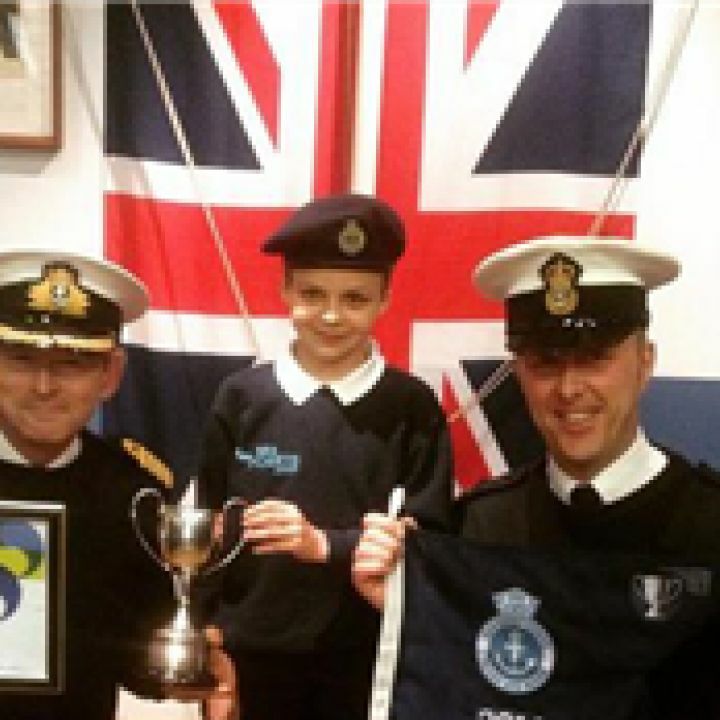 At the end of march, the Captain of the Sea Cadets, Jonathan Holloway RN, came to Evesham Sea Cadets to present the Captain's cup to the unit, along with a burgee for 2015 and a commendation from the Captain himself. The Captains cup is awarded to the 3rd best unit in the country. During the night the Captain was taken on a tour of the unit and he looked in on some of the classes that were taking place that evening. 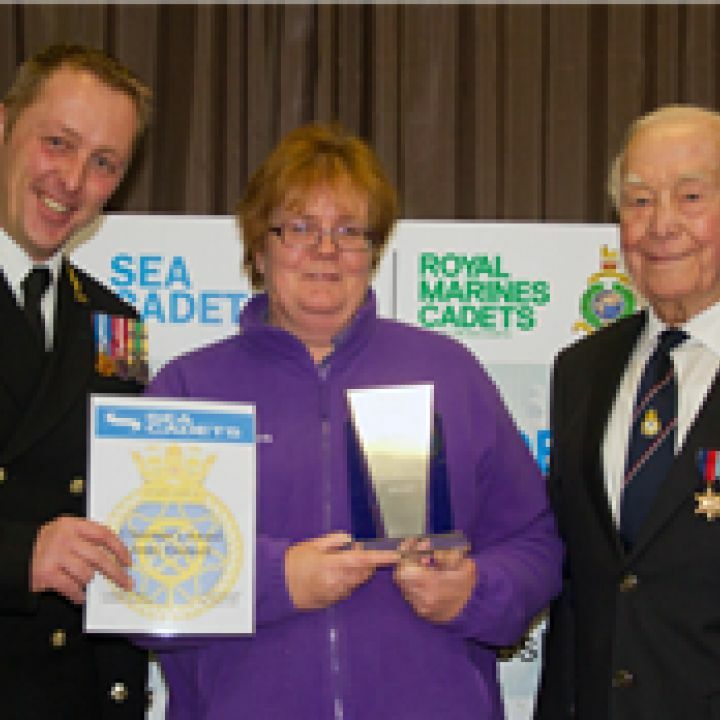 It was a very memorable night for Evesham Sea Cadets as this award takes a lot of hard work and effort to achieve. The Commendation from the Captain said "This is to recognise that Evesham Unit has performed in the best traditions of the Sea Cadets Corps during 2015, upholding the values and traditions of the Corps and providing outstanding training and leadership for cadets and volunteers. The Captain of the Sea Cadet Corps places on record his congratulations, commendation and best wishes for continued future success." 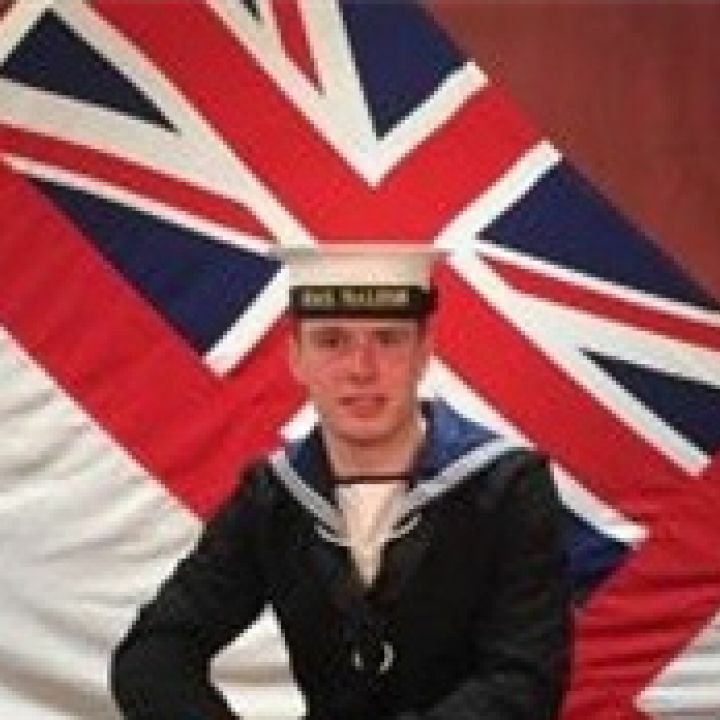 Trainee Seaman and ex-Sea Cadet Jordan Griffiths, aged 19, arrived at the gates of HMS Raleigh in Cornwall in January. "I joined the Navy to see the world and to serve my country. Training was tough but the feeling of accomplishment is brilliant. Basic training was as realistic as it can possibly get. We used everything from decommissioned minesweepers to give you a taste of life on board, to sinking ship simulators so you can learn how to deal with emergencies at sea. Throughout all this, fitness was a key. The Royal Navy training regime constantly and increasingly tested my ability to climb ropes and complete assault courses and weekend treks across Dartmoor. But it’s not all about strength and physical skill. You’ll have I had to prove myself in the classroom too. I enjoyed my time in the Sea Cadets, and this has just taken it to another level." With the first phase of his training complete, the teenager will transfer to HMS Collingwood in Portsmouth, where he will learn the skills in seamanship to keep the ships of the Royal Navy running smoothly, safely and effectively. Commanding Officer of Evesham Sea Cadets, Keith Field, who attended said: "It was an honor and a privilege to attend and see Jordan accepted into the family of the Royal Navy, he should be rightly proud like I know his late grandfather would be to." For this year's awards evening at Evesham Sea Cadets our guest of honour was Mr Ron Brookes who is a WWII Veteran and a supporter of the unit, he presented the Noël Wilkes trophy to Ms Jenny Tredwell. There were over 120 adults and cadets who filled up the main deck that evening. Many awards were given out, including a very impressive 10 years of good conduct to CI Trevor Bolton who is our Marine Engineering instructor. There were also 5 years good conduct awards given to other members of staff including Marget Hankins, David Hankins, Michelle Ludlow and Rob Ormsby. Able Cadet Harrison Gilliland was awarded the Commanding Officer's award and Leading Cadet Grace Bradley was awarded best all round competition winner. On top of the awards being given out, 2 Duke of Edinburgh teams shared their presentations from their expeditions. One of the groups recieved the Duke of Edinburgh award 2014 for their brilliant effort and teamwork. Evesham hit top form again in 2014, winning the coveted Stephenson's Trophy for the best all round unit in the South West Area for a second year running. 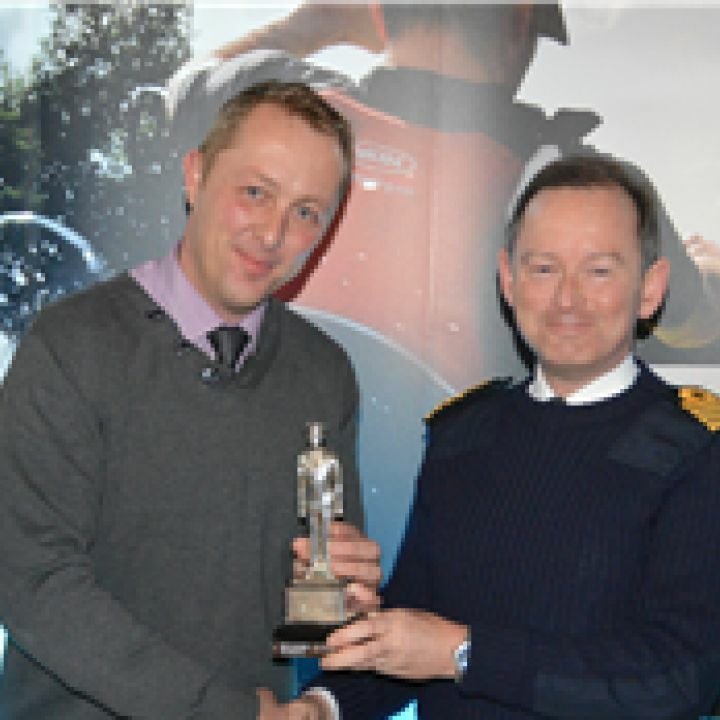 The Commanding Officer was awarded the trophy at the end of year conference in Bristol by the Captain Sea Cadets, Captain Jonathan Holloway Royal Navy. "Another proud year for Evesham, placing us in the top echelon of units in the country, every cadet, staff member and helper associated with the unit should be very honoured to win the top trophy the Area has to offer for a second year running, very well done one and all BZ, Chief"
During the year the unit has had endless highlights, three International Exchange students, the first Corps PTI the organisation has awarded for many years, more Gold, Silver and Bronze Duke of Edinburgh Awards, CVQO's in Music, Marine Engineering and Public Services, National Football Champions for a third year in a row, National Windsurfing Champion again and endless improvements to the unit headquarters to name a few of our achievements.